College is out for the summer and Patrick Locke has no where to go, but back home. His parents can’t come get him until Tuesday and he has to be out of the dorm by 5:00 PM Saturday. A friend invites him to take a room at “Boarding House” so Patrick won’t have to give up his part-time job. What’s going on in this house and why are there so many cameras–even in the bathroom? 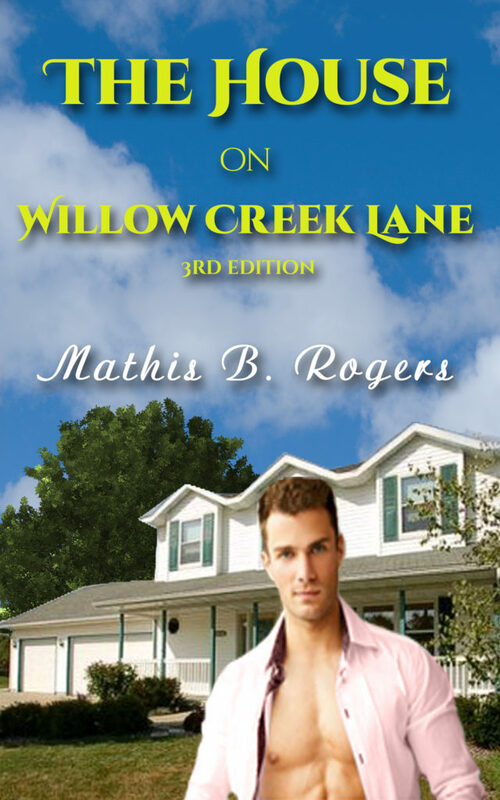 Clay Mason moves into the dorm for his freshman year at college and even his brother, Brody, knows he’s doomed when the handsome Zachariah Phillips unlocks the door and steps in as his roommate for the semester. Perry Archer—Zach’s life-long best friend, borrows his uncle’s cabin and the three of them spend the week of Spring Break there. When Lightning Strikes Two Hearts – Can Love’s Thunderstorm Be Far Behind? When Scott Campbell pulls into an old hotel one dark and rainy afternoon, all he wants to do is get off the road, out of the storm, and into bed for a good night’s sleep. But lightning strikes when David Bennett walks into the hotel lobby, also looking for a room. This is a collection of nine of my stories. They are broken down in “Book” format in the order they were written. This eBook contains Adult content. Book 1: Halloween Night—Shane decides to stay at his Great Great Grandparent’s old abandon, four-story house that appears to be right out of a scary movie for Halloween night and discovers that a friend of his is already there—in the bathtub. Book 2: Halloween Night: Uncle Troy’s Magical Touch—After having tea with his family in London, Shane gets upset and tears down the mansion that he loves so well. With tears streaming down his face, he streaks to Jupiter, making the 3 minute flight in 2 minutes flat, and almost plows into his Uncle Troy. With Uncle Troy’s help, Shane soon discovers why Gavin’s roommate, Chuck, is homophobic. Book 3: The Golden Locket—Jonathan Rhoades is walking home one evening and finds a golden locket on the sidewalk. What mysterious powers does it hold? While you do not have to have read the “Halloween Night” series, some of the characters do appear in this story. This is a Full Length Gay Adult Novel. Book 4: Ghost in the Mansion—Cory Hartwell and his lover Trevor Bryant head for Ranch Harbor, Maine to spend a relaxing weekend away. A flat tire brings them to a stop in front of an old abandoned mansion. What’s that cat doing there? What else is going on in the old house? Book 5: Halloween Night: Shane Meets a Ghost—Chuck’s girlfriend, Allison’s, aunt and uncle move a castle from Ireland to Erie, New Hampshire and Allison asks Shane and Gavin to accompany them for the weekend. Allison doesn’t really want to go because her cousin, Danny, says that the castle is haunted. 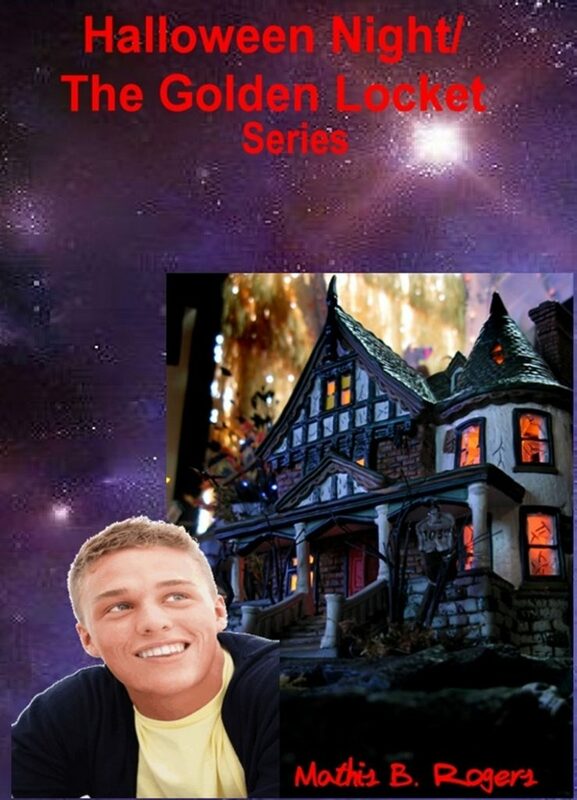 Book 6: Halloween Night: The Truth Is Out There—Chuck confronts Shane about his powers and the news is all a buzz about a new planet that was just discovered on the other side of Pluto, so Gavin, Shane and Chuck go for a visit to see what it’s all about and are surprised to discover they are not alone on the new planet. Book 7: The Fourth Floor—(This is a spin-off of The Ghost in the Mansion) Andrew Hartwell takes a job in the Mortal Realm and is surprised at the events he uncovers as he checks into the old hotel where he and his co-worker, Fred, will stay while on a job. Book 8: The Golden Locket: Mercury in Retrograde—(This is a sequel to “The Golden Locket” and takes over right as “The Fourth Floor” ends) Jonathan gets a call from Chip, wanting to know if he and Peter want to go on a cruise from Miami, Florida to the Bahamas the day after Christmas. Still broken-hearted from breaking up with Mark, Jonathan takes off to Lincoln, Nebraska to see what it’ll take to charter a plane for the flight. Book 9: The Golden Locket: The Cruise—(Series Finale) Jonathan hires Justin to fly the group to Miami for a cruise to the Bahamas. Jonathan and Justin grow closer as Peter announces his engagement to Victoria. Uncle Dusty gets the flu and Jonathan uses his power to discover how to cure him so he can see his parents, who come in from Denver for Christmas. Just out of the Navy, Blain Bailey moves to Cactus Bend in the heart of West Texas, where his parents have recently moved from Amarillo. Blain has always considered himself straight and, although he is still a virgin by choice at 26, as he tries to grow accustomed to the desert climate, there is more causing his blood to boil than just the Texas sun.